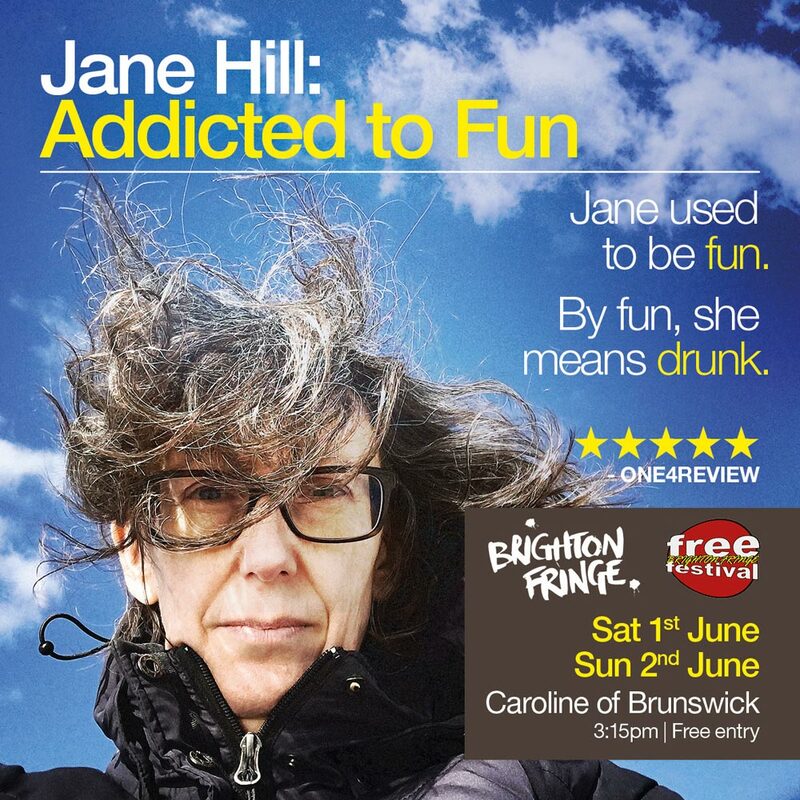 I'm delighted to say that I'll be performing Addicted to Fun at both the Leicester Comedy Festival and the Brighton Fringe in 2019. The Leicester Comedy Festival is one of Britain's biggest comedy festivals and takes place in February. I'll be Upstairs at Firebug in the centre of Leicester on Sunday 10th February, at 4pm. Tickets cost £5 in advance or you can pay what you want on the day itself (I'll be rattling a bucket as you leave the show). Click here for the ticket link if you'd like to book ahead (strongly recommended). Thank you to everyone who came to see my show Addicted to Fun at the Edinburgh Fringe - and apologies if you tried to get in but couldn't. I was performing in a delightful but tiny room in the basement of the City Cafe and there were a few days when we played audience Tetris to try to fit in as many people as possible. I was delighted to get a five star review for my show - you can read it here. I'm now planning to perform it at a few other venues - look out for a London date this autumn. Plus I am planning to do it at next year's Leicester Comedy Festival. You can hear me talk about my Edinburgh Fringe show Addicted to Fun on the Standard Issue podcast here. I’m one of four female comedians discussing our shows with Mickey, Jen & Hannah of Standard Issue. Give it a listen! Design by Paul Banks of Peril Design. Photo by me. I'll be doing some new material in London this coming Monday - 16th July. Come and see me at The Monday Club, at the Museum of Comedy in Bloosmbury. It's free and the evening runs from 7pm-9pm. More details here. Then later in the month I'll be previewing my Edinburgh show Addicted to Fun at Canteen in Leicester. It's at the Street Food night on Friday 27th July - you can catch Alex Hylton at 7pm and me at 8.15pm. It's free (with a bucket collection). More here. I can't get enough of the Edinburgh Fringe. I had such a good time in 2017 with my one-woman show Cow, I'm back again this year. 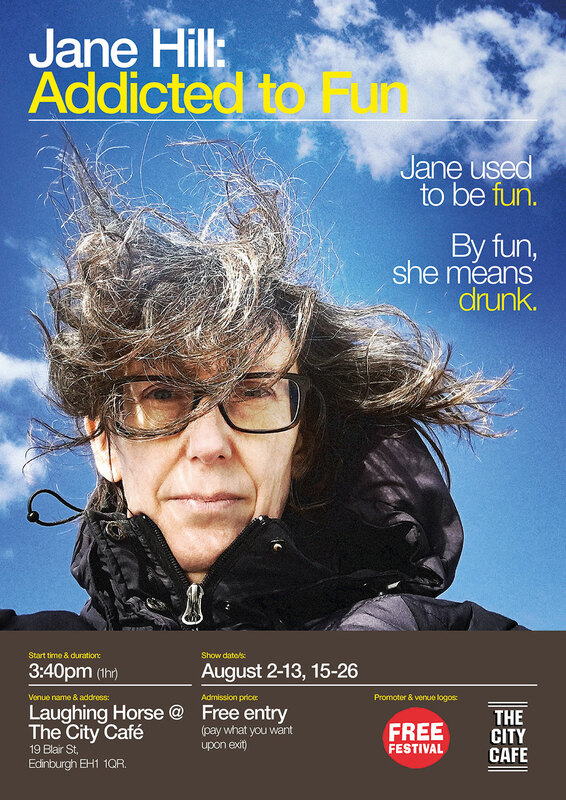 I'll be spending all of August in a tiny room at the City Cafe doing a show called Addicted to Fun. It's a frank, funny look back at my thirties - which I mostly spent drunk. I'll be talking about booze, what got me started drinking - and how & why I gave up, 15 years ago.